International Waters:- Projects that cater to communities which are situated close to threatened water bodies and to transboundary threat to freshwater and marine ecosystem. Priority is placed on the prevention and control of ecological degradation of critical habitats (such as wetlands, shallow water and reefs), of unsustainable use of marine resources which results from overfishing, excessive withdrawal of fresh water and resources extraction. This projects also deal with the prevention of release of persistent toxic substances and heavy metals that cannot be neutralized by marine and freshwater ecosystems, or that accumulate in living organisms. 1. Abatement of common containments such as nutrients, biological contaminants, or sediments that endanger species or threaten ecosystem. 2. Prevention and control of ecological degradation of critical habitats (such as wetlands, shallow waters, and reefs that sustain biodiversity). 3. Management of unsustainable use of marine resources which results from overfishing, excessive withdrawal of freshwater, and resource extraction. 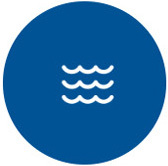 Projects that address the priority transboundary environmental concerns that exist in specific water body, such as trans boundary river basin or large marine ecosystem. Support for capacity building and technical assistance for species and habitat conservation for fishing and coastal communities who suffer from the loss of critical marine, river, and lake biodiversities. Provision of sustainable technical and alternative means of livelihood in situations of excessive fishing and water resources extraction. Small-scale demonstrations of approaches to reduce the flow of transboundary pollutant at local levels. Projects that test the approaches to implement the existing Strategic Action Programmes (SAPs) and National Strategic Action Programmes (NAPs) at the local level. These projects involve the integration of land and water resources management as a means of addressing the degradation of international waters. They can involve other GEF focal areas as well as cross-cutting issue of land degradation (desertification and deforestation). Participatory inventories and community use assessments of unique or endangered marine and coastal biodiversity in a joint biodiversity/international waters multiple focal area project. Development of integrated freshwater basin-coastal area management to address the causes and sectoral activities that endanger the reefs, wetlands, and mangroves that serve as nursery areas for the ocean’s living resources, particularly transboundary fish stocks. Capacity-building and technical assistance to combat salinity of coastal soils from over-use of freshwater and groundwater with the help of transboundary aquifers for irrigation and household consumption (applicable in border towns and regions). Projects that test the approaches to implement the existing Strategic Action Programme (SAPs) and National Strategic Action Programmes (NAPs) at the local level. This programme includes activities that demonstrate ways of overcoming barriers to the adoption of best practices to limit contamination of international waters. Community initiatives to eliminate the causes of land and marine-based sources of pollution, particularly Persistent Organic Pollutants (POPs), nutrients and certain metals. Reduction of agricultural run-off in the form of chemical fertilizers and pesticides. Reduction of industrial waste dumping by promoting reuse and recycling. The conservation of water as a source of livelihood and as a biological hotspot for many species of plants and animals. The projects under International Water, help communities who are dependent of sources of water to help preserve such sources through sustainable methods and facilitates them in alternative means of livelihood.